When we hear people talk about renewable energy, solar and wind power are usually the first couple sources that come to mind. But what about the others? 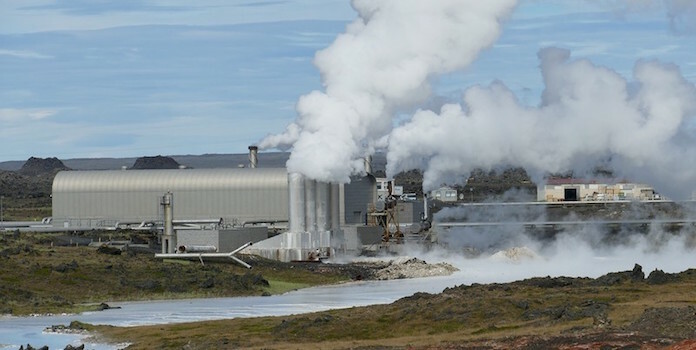 In this article, we will focus on geothermal energy costs. Geothermal is a renewable energy source with very high potential that, in our opinion, is underrated for its generation of both electricity and heating/cooling energy. First, we’ll define what it is and how we convert it into energy. Then we’ll break the costs down to see if it really is a contender in the ever-more affordable renewable energy market. Have you ever relaxed in a hot spring before? Then you’re already more familiar with geothermal energy than you think. Geothermal energy, considered anything that is “of or relating to the internal heat of the earth,” is created from heat that is continuously produced in the earth’s inner layer of molten rock. How do we make energy from this underground heat? Ok, so now we know it’s hot down there, but how do we use heat trapped under rock to generate energy? Great question! Over thousands of years, rainwater seeps into the earth’s surface and collects in underground reservoirs, where the hot molten rock heats the water. Wells, drilled up to 10,000 feet underground, bring that hot fluid to the surface to generate electricity in a geothermal energy plant. There are three different types of geothermal power plants: flash steam, binary cycle, and dry steam. While each operates differently, all implement the same basic design of drawing hot water and steam from the ground to spin turbines which then generate mechanical electricity. The majority of geothermal power plants are flash steam plants. However, the type of plant is determined by the characteristics and location of each geothermal field. Check out this video for a closer look at the process of generating geothermal energy from a flash steam plant. The United States is by far the biggest producer of geothermal energy. The US’s first geothermal plant, The Geyser Complex, is located in northern California and is still the largest geothermal plant in the world! It’s made up of more than 20 geothermal production plants. The majority of western US states are rich in geothermal resources, as there is a host of ‘hot spots’ throughout the region where the Earth’s crust is thin, allowing the hot water to rise to the surface. This results in natural hot springs and geysers, like those in Yellowstone National park, where water can reach 430° Fahrenheit. Aside from ‘hot spots’, geothermal energy can be accessed nearly anywhere with the use of geothermal heat pumps. This is precisely how thousands of buildings and homes throughout the US maintain their temperatures, as geothermal energy can produce not only electricity but can be used for cooling and heating. Alright, so it’s now clear that we can utilize heat from underground as a clean and free energy source. But what’s all the fuss about? Is geothermal really better than other developed renewables like solar or wind? The fuel that powers geothermal power plants is available 24 hours a day, 365 days a year, allowing it to serve as a primary energy source. This is something that solar and wind power cannot offer. You’ve probably already heard about the intermittent nature of a lot of renewable energy sources — we can’t rely on the sun to shine or the wind to blow at the same moment we have high energy demands. This a big reason why we have had to continue relying on fossil fuels like coal and natural gas. These conventional energy sources serve as our primary, or baseload, energy sources on the electricity grid due to the stability and consistency of energy they provide. While solar and wind are still unable to compete with these high-carbon footprint heavyweights when it comes to providing baseload electricity, geothermal can. It can operate consistently at an availability rate of over 90% (the percentage of time that the plant produces energy). That’s impressive, especially when compared to coal, which sits at 75% availability. What’s more, its price does not fluctuate like the price of oil, gas, or coal. It offers steady and clean energy without the volatility of fossil fuel energy prices. All of these factors combined creates a competitive energy source that could be a saving grace for the US energy market. Ok it’s renewable, but is it sustainable? Can we continue to use this underground water indefinitely without any ill effects? 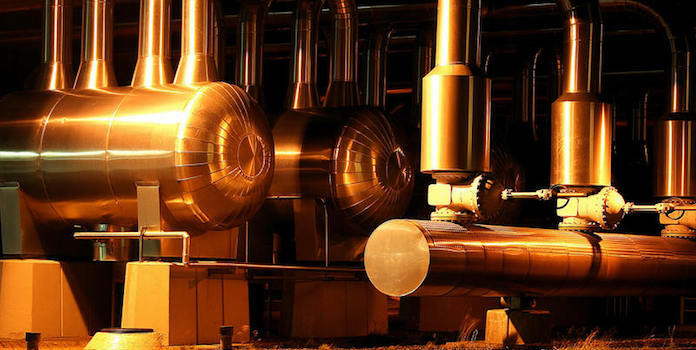 Geothermal’s sustainability has been proven through the ongoing use of the world’s very first geothermal plant in Italy, in operation since 1913. While steam and water pressure has declined at some plants, we now have the capability to reinject the wastewater back into the ground through the well after it has been used, prolonging the life of the reservoir. Let’s get to the heart of the matter: the cost. The ‘fuel’ of geothermal energy, the heat that is emitted from the earth’s crust, is free! So once the power plant has been built, geothermal energy costs day to day are low. Operation and maintenance ranges from $0.01 to $0.03 per kWh for an average geothermal power plant in the US. However, the upfront capital costs are not so small. 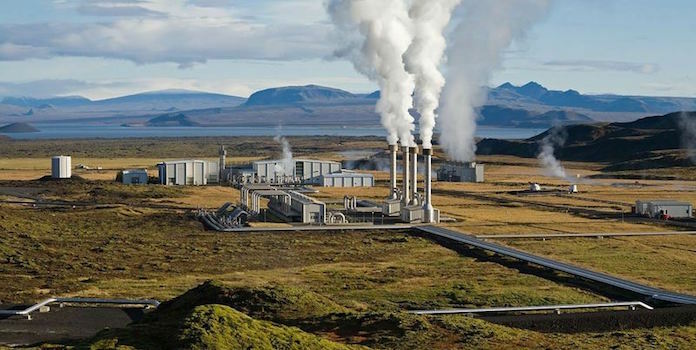 Installed costs of geothermal power plants include: exploration and assessment of resources; well drilling; field infrastructure; construction of production facilities and grid connection. According to the US Department of Energy (DOE), the initial costs for the land and construction of a geothermal plant in the US is roughly $2500 per installed kW. If we want to get an idea of how these costs compare to other energy sources, we should take a look at a very comprehensive measurement of energy generation called the levelized cost of energy (LCOE). Don’t panic, we’re not going to lay out any formulas. The basic idea behind it is to combine all the fixed and variable costs of an energy plant, while taking into account how much energy the plant can produce and for how many years. The end result is a metric that we use to make objective comparisons between one energy source and the next. It’s also what investors use to decide if a certain type of energy production can reach commercialization, given the various costs it requires. The DOE collected information on future energy plants set to begin generating power between 2018-2022. They found that the estimated Total System LCOE for a geothermal plant is $44/MWh, (p. 7) the lowest LCOE of any other energy source. To give you an idea of how low that $44/MWh is, consider how it stacked up against traditional sources: natural gas ranked between $54 and $100/MWh (depending on the type of production facility), while nuclear came in at $96/MWh. Coal is missing from this list because there are no “clean” coal facilities to be built by 2022 that adhere to impending production facility guidelines. So, if geothermal power is so cheap and so clean, why aren’t we using more of it in the US? Great question. In fact, although the US is the leading country in geothermal production, it has tapped less than 0.6% of its geothermal electricity resources. 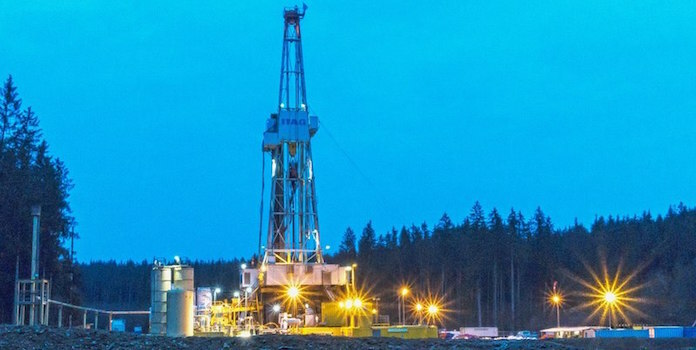 A variety of factors contribute to this lack of development, including high upfront investment costs, flat demand, and the risks involved in exploratory drilling all play a role (p. 3). In addition, the 30% federal tax credit towards geothermal system costs, implemented in 2008, expired at the end of 2016 (this is the same credit that federal lawmakers extended for solar installations). Yet, geothermal energy production is still expanding in the US. The electricity produced from geothermal is expected to quadruple by the year 2040 in the US. 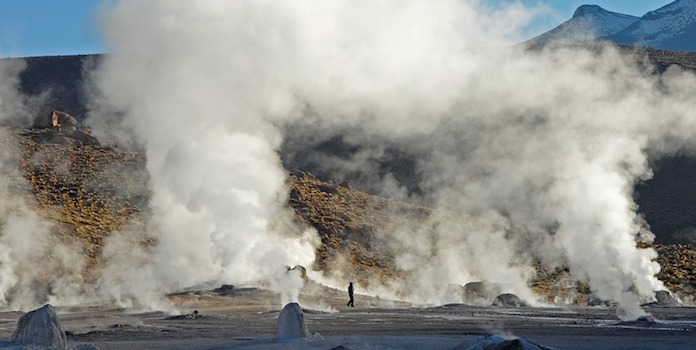 Geothermal energy is on the rise, both domestically and internationally. It’s being generated in more than 80 countries and is meeting the electricity needs of 60 million people across the globe. This economical and reliable energy source will continue to be utilized to an increasing degree as pressure mounts against the use of fossil fuels and the world searches for a stable, clean energy alternative. That potential is present with geothermal. In fact, if we combined all the heat emitted from the Earth within about 30,000 feet from the surface, we could generate 50,000 times more energy than all global natural gas and oil sources combined! That’s a lot of heat, and a lot of energy potential. Heat map shows where we can build geothermal plants in the U.S.
Let us know what you think about geothermal energy’s possibilities in the comments!